STEINWAY & SONS 5’7″ model M (serial #258030) hand built in New York. 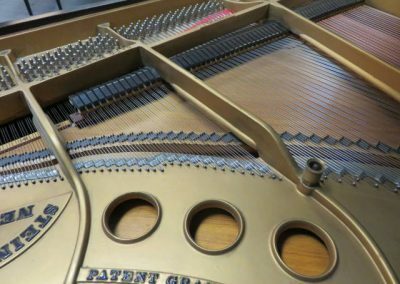 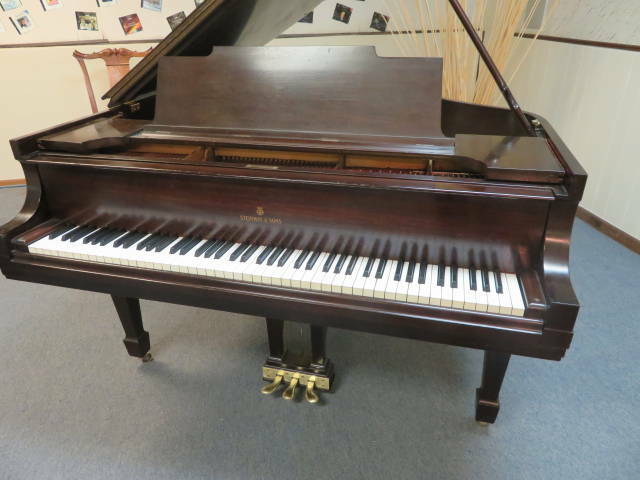 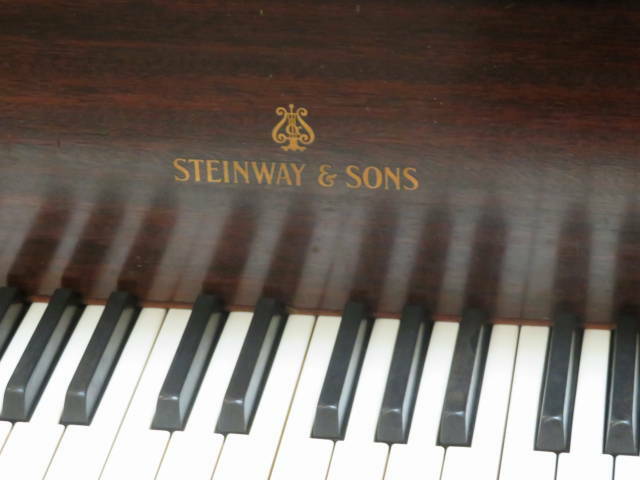 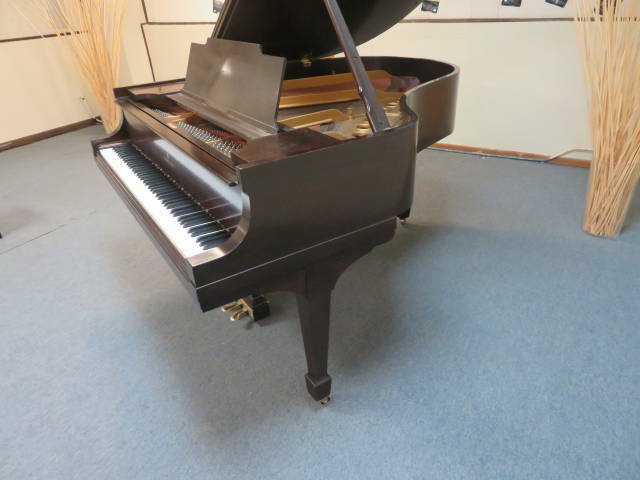 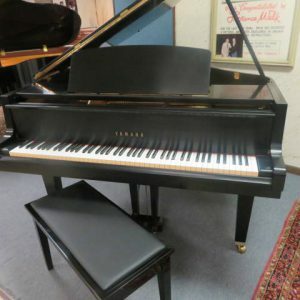 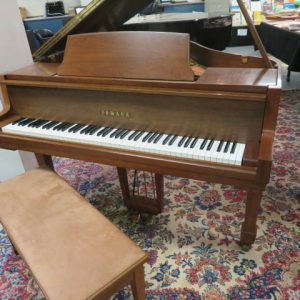 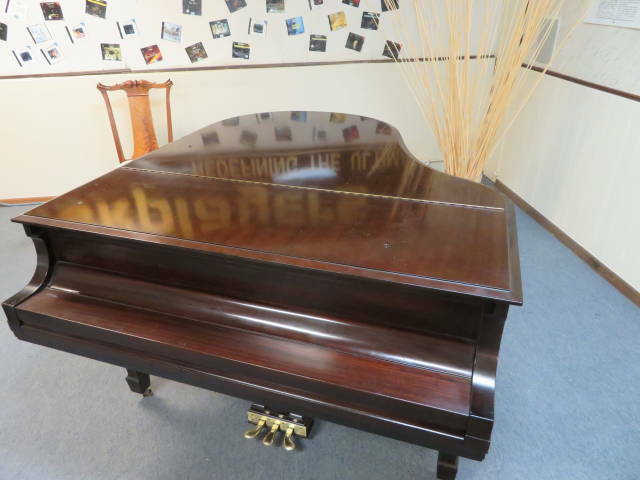 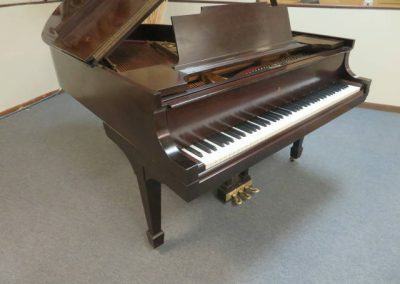 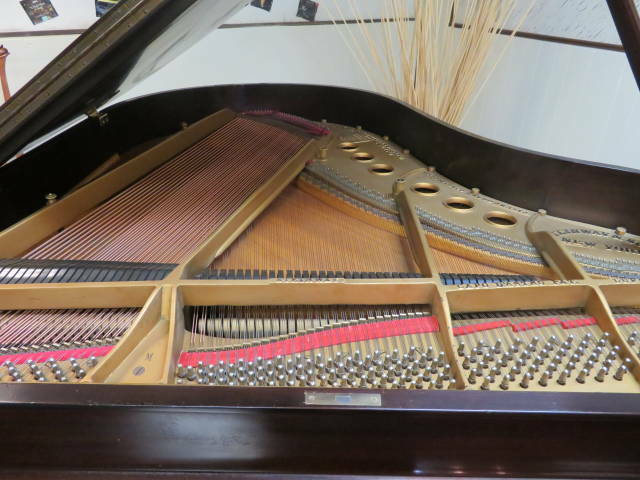 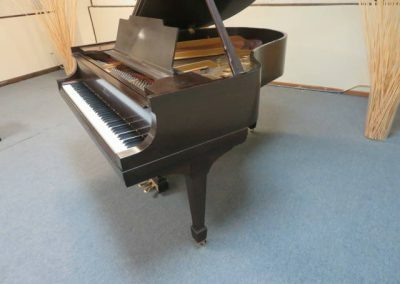 This STEINWAY & Sons has all the original actions parts and they are in excellent condition. 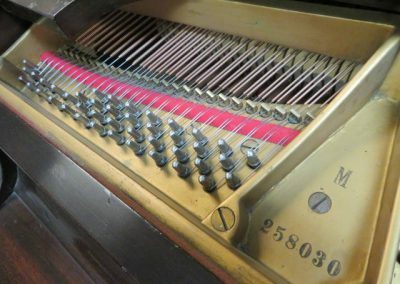 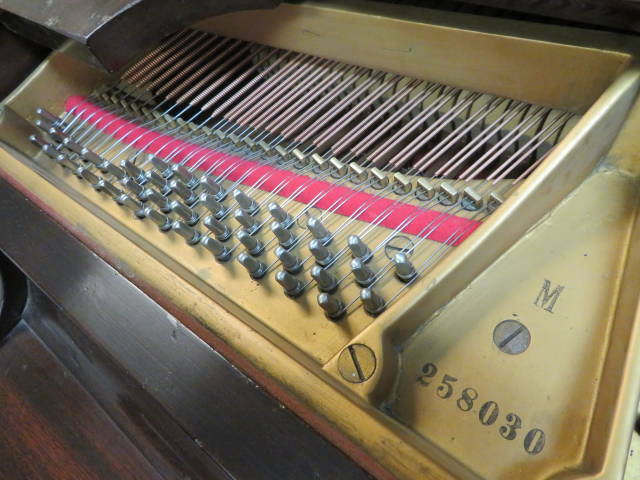 This Steinway model M was restrung and repinned 20 years ago. 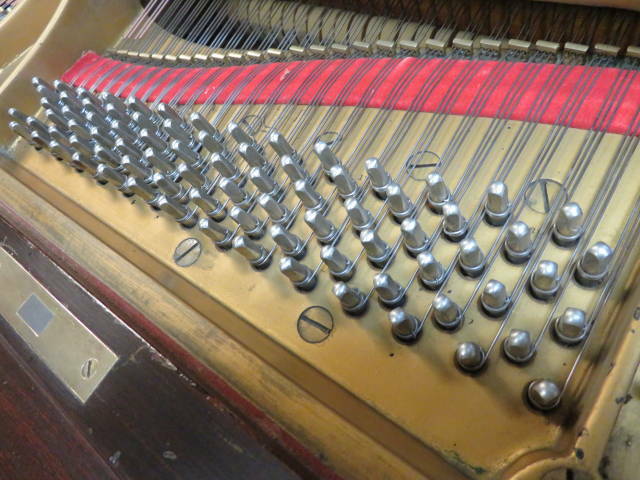 The soundboard is all original and is in Perfect Condition. 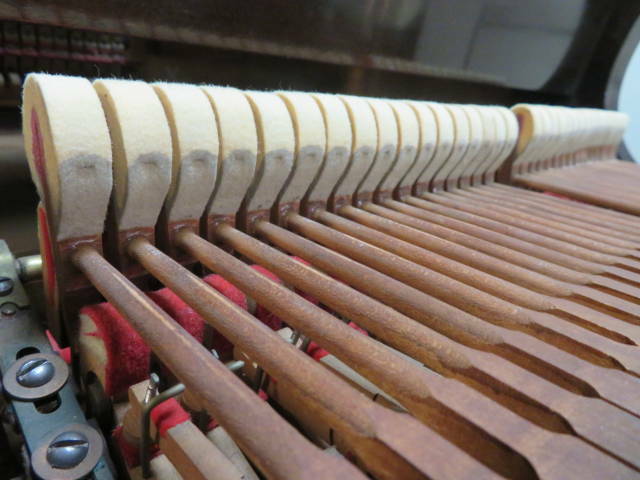 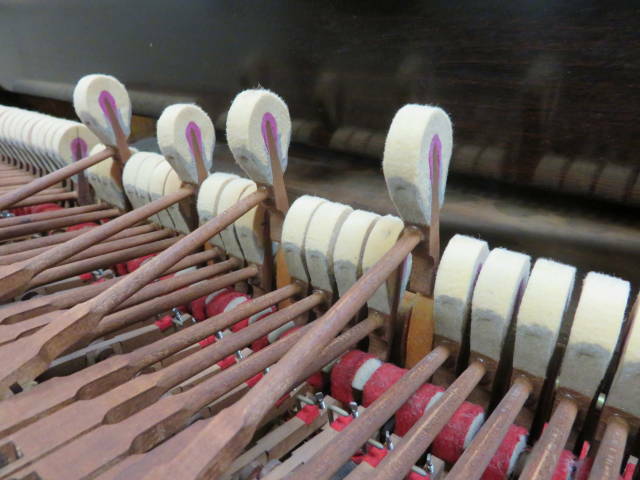 The tuning pins are tight and the pin block is original and in Perfect Condition. 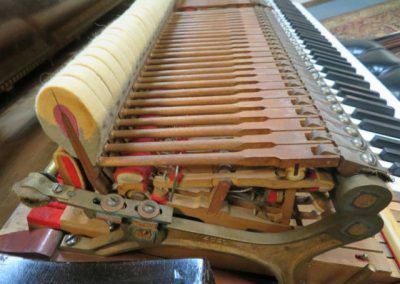 The piano action has been professionally regulated to Steinway specifications. 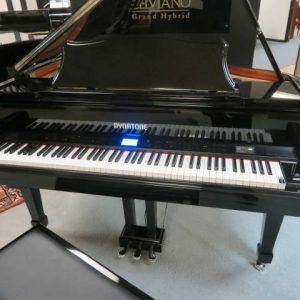 Extremely responsive touch and very expressive tone.The piano also has new keytops and fronts. 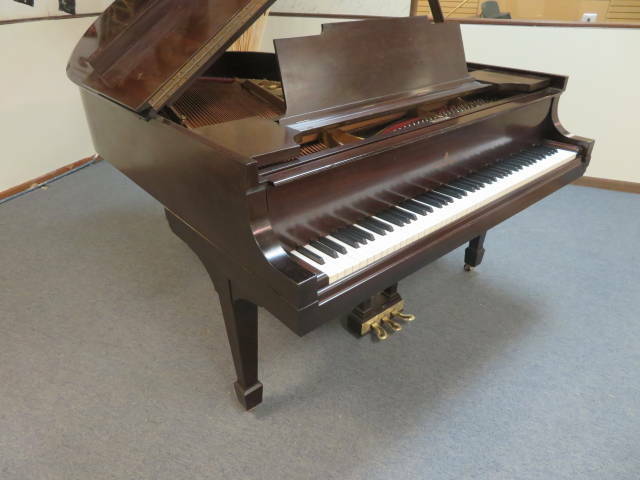 The case is satin mahogany and is in good condition relative to its age with some blemishes. 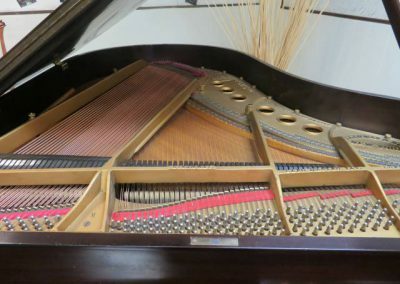 Professionally concert tuned to A-440. This is a fantastic sounding and playing Steinway grand. 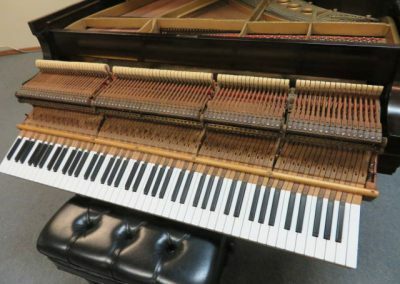 This Steinway M has a 5 year parts and 5 year labor warranty just like a new Steinway warranty. 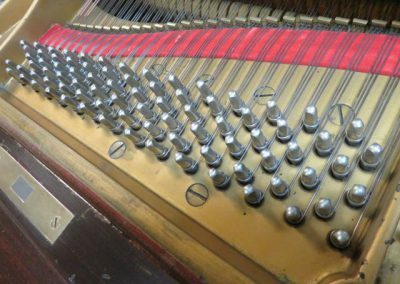 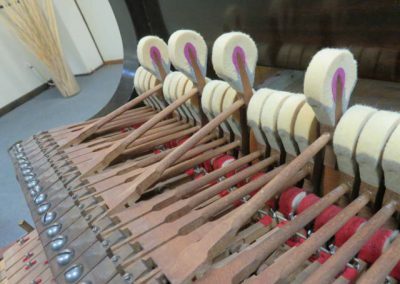 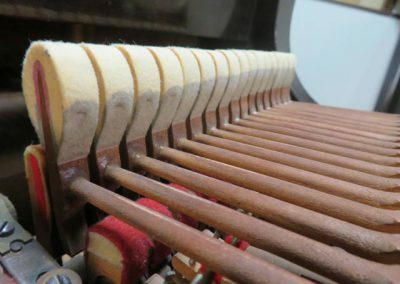 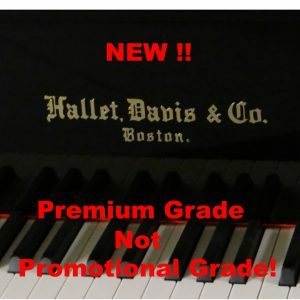 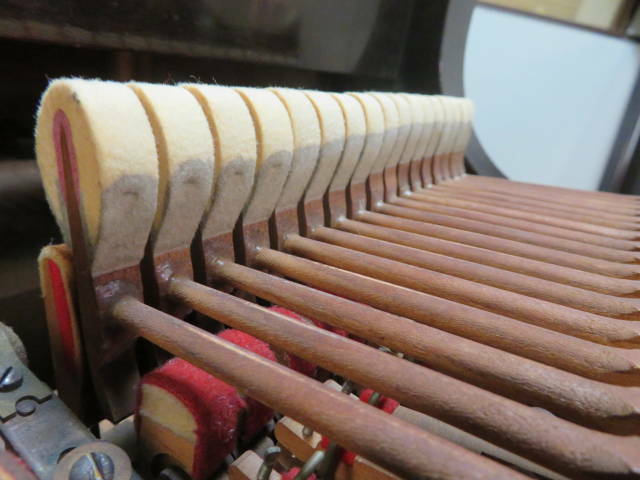 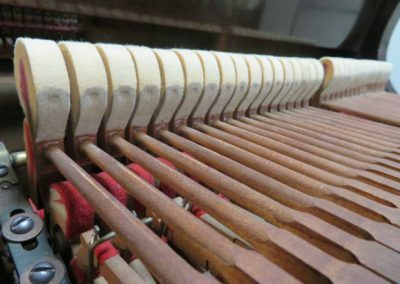 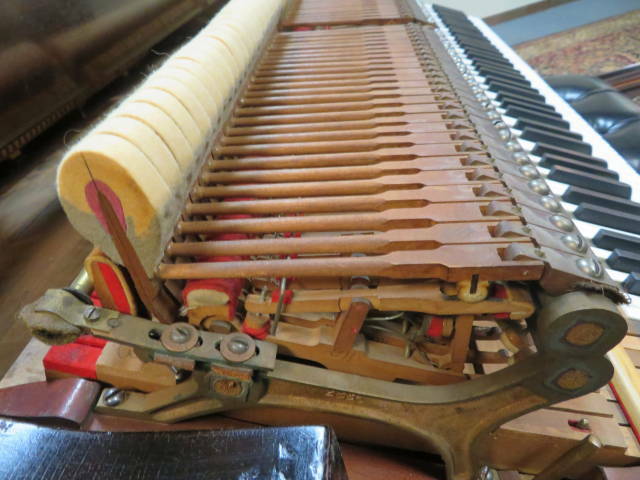 ACTION: (hammers, keys, shanks, dampers, flanges, whippens) All of the hammers shanks, and flanges, whippens and back checks are All Original and have been regulated to Steinway specifications. 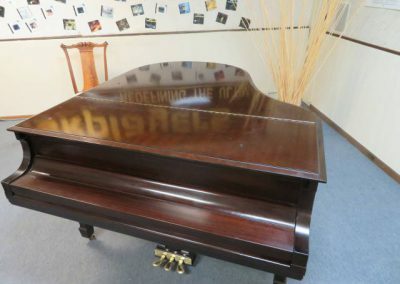 CASE: The case is satin mahogany and is in very nice condition with some blemishes. 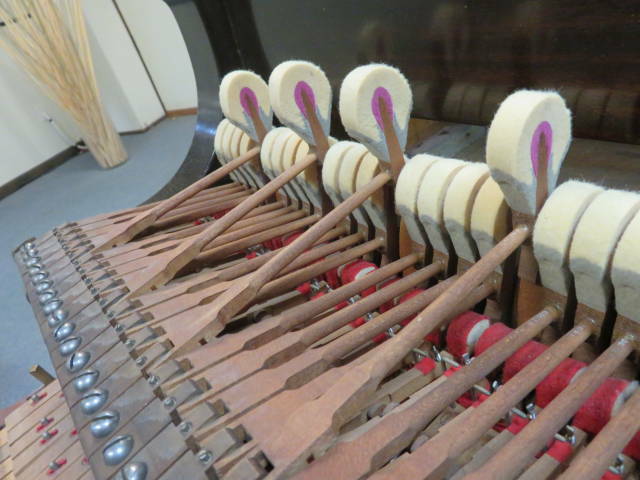 TONE: Very powerful bass and very clear tenor and treble.